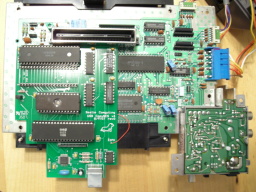 Installation requires soldering, desoldering, and hole cutting on an original front loading NES system. 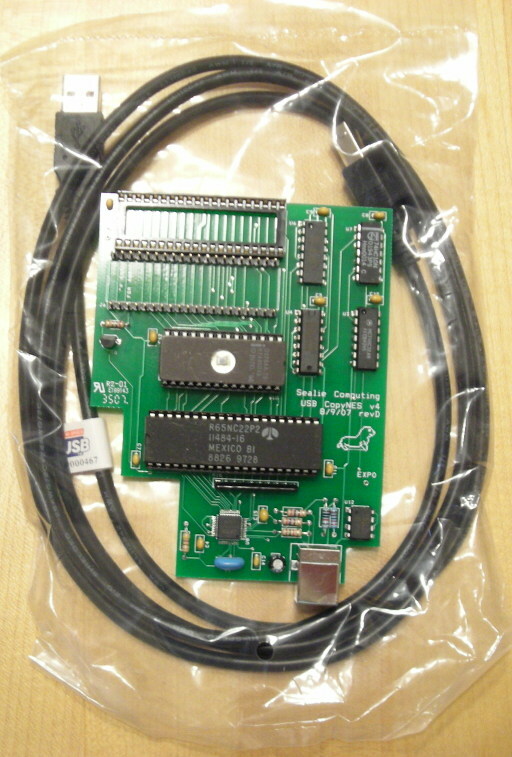 Works on NTSC and PAL systems. Software requires Windows OS, see links below. Protocol and drivers are public so others can write Win/Linux/MacOS clients. Works on all authentic Nintendo front loading systems. Does not work on Famicom or top loader systems without extensive rewiring. 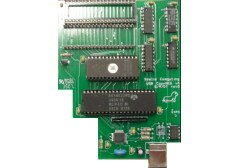 USB CopyNES Installation Manual PDF (1.9MB) - Explanation of how to install the USB CopyNES board. USB CopyNES host app zip version 4.0.1 (640KB) - Windows XP/2k host application. USB CopyNES source files zip version 4.0.0 (1MB) - BIOS, plugin, and host app source code.